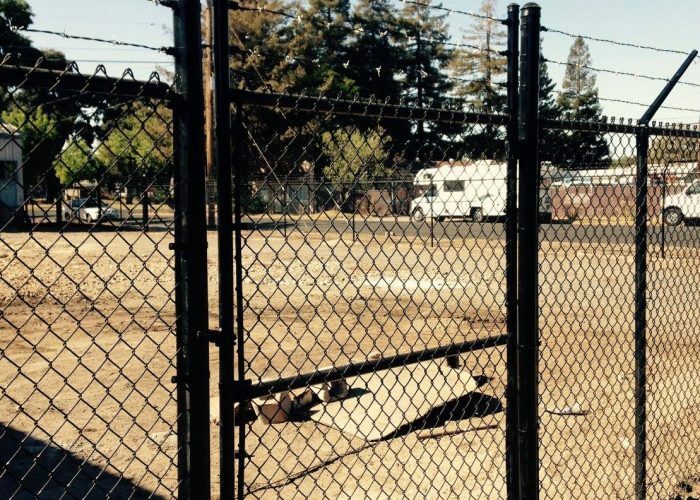 Chain Link Fence Contractor | Chain Link Gate Installer | Install a Chain Link Fence | Roseville, Rocklin, Granite Bay, Folsom, Loomis, Sacramento, Citrus Heights, Antelope, Orangevale, Penryn. A chain link fence and gate is perhaps the most economical fencing option when you are looking to secure your house, property or business. They offer a high degree of strength, durability and security. 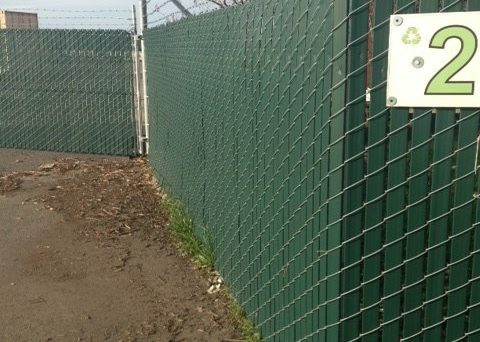 Chain link fencing is very practical, easy to install and cost effective. 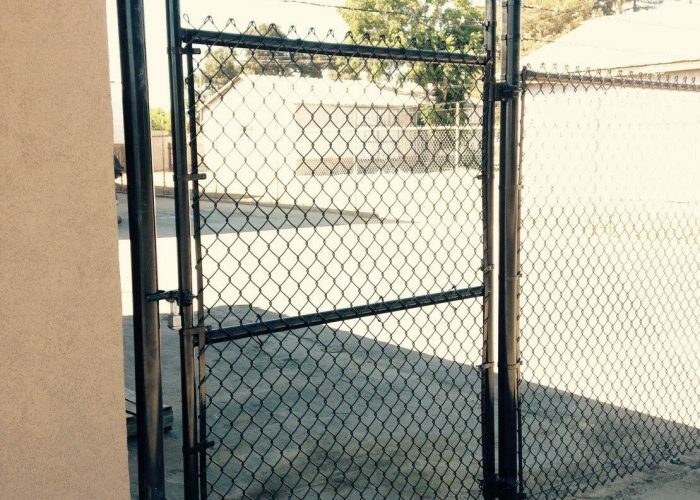 And with one of the newer coatings applied, a chain link fence and gate can be aesthetically pleasing too! Many of our clients use chain link fence in the less visible areas of their property and a cedar wood fence or ornamental iron fence in the more highly visible or high traffic areas. Chain link fence is most commonly galvanized and silver in color. We also offer colored chain link fence fabric, framework, colored fence fittings, and swing or slide gates. Our chain link fences and gates are applicable for all fencing applications from basic residential to light commercial, heavy commercial and industrial. 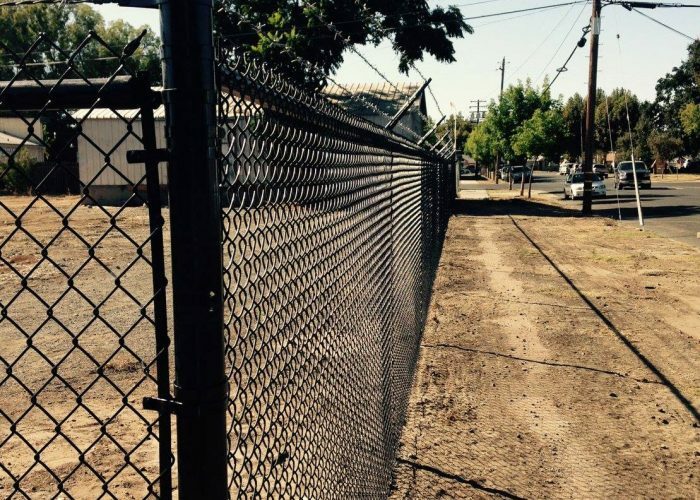 Our chain link fences can be powder coated or coated in a heavy vinyl material in a number of standard colors in sizes ranging from 42” to 72” high. Finally, we offer privacy slats that can be used to prevent prying eyes. We offer gate operators, automatic gates, driveway gates, custom gates, courtyard gates, sliding gates, field fence, chain link fences and gates for any application. 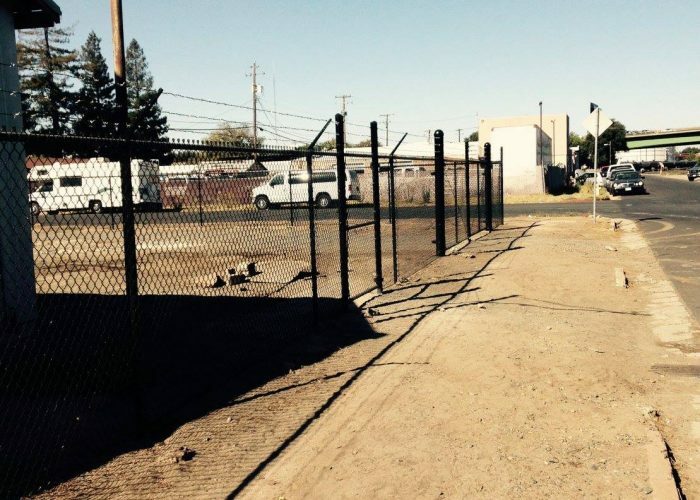 So when you are ready to install a chain link fence and gate, even over rough terrain, call us at (916) 315-9405 or email us atsales@calsierrafence.com. We will meet with you at your convenience to provide a complimentary site assessment and proposal. 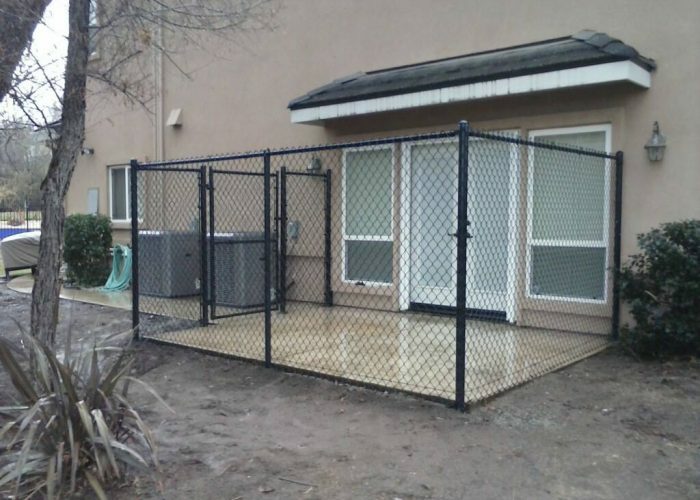 And we will build you a high quality long lasting chain link fence that is durable, functional, and will compliment your home and surroundings.